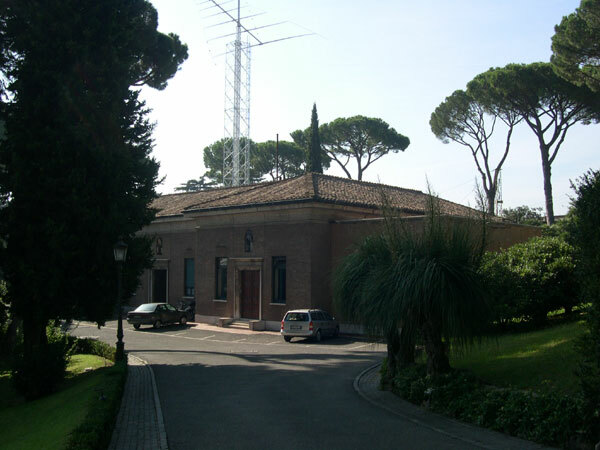 At midnight on November 30 the historical Vatican Radio station located within the Vatican walls shut down its broadcasts on medium wave (AM). This is part of a process of broadcast reform that began back in 2012 when the then Vatican Radio Director, Fr. 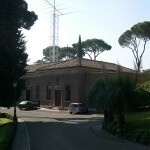 Federico Lombardi, SJ, announced that the Radio was going to cease broadcasting on short and medium waves step by step. In the meantime, the inauguration of the major internet news-portal that will gather Vatican Radio and Vatican TV into one webpage should come shortly: it is part of the ongoing reform of communication. As the shut-down of short- and medium- wave broadcasting had been foreseen, the question is why the final decision hit the world around the Vatican as a surprise? When planning to leave the leadership of Vatican Radio after many years, Fr. Lombardi emphasized that he had always fought to retain shortwave broadcasting. Alberto Gasbarri, the long-time organizer of papal trips, also underscored the importance of keeping shortwave broadcasting. Behind this discussion, and behind the changes the Vatican is experiencing, lies a clue about what is going on in Pope Francis’s pontificate. Transitions scheduled far in advance become difficult, as the Pope seems almost detached from the rest of the Curia, since he thinks independently and on the basis of opinions of people he trusts. Basically, Vatican Radio’s switch to the Internet had been already planned, but without considering a complete shut-down of the shortwave broadcasting. Shortwave radio, Vatican Radio experts explain, can reach out more effectively to the poor of the world, because it can be heard in every place in the world and it is almost impossible for broadcasts to be jammed. In the end, they argued, shortwave should be kept for reasons of evangelization. This was Fr. Lombardi’s idea, and he also wanted to expand the number of broadcast languages at Vatican Radio. Certainly, the idea was not supported by those who favored reform of Vatican media. Television, radio, “Osservatore Romano”: every branch of Vatican media needed to reorganize, to adopt a new editorial mentality, to update procedures and yet to remain anchored to time-tested Vatican information traditions. That same information craft that was made strong by the independence of Vatican media, made possible by Vatican sovereignty and by the extensive information gathering efforts of the international network of papal nuncios made the Vatican a lone voice speaking out on behalf of the weakest people. Between one reform project and another, the sense of the mission of spreading the message of the Gospel apparently got lost, by concentrating on technical details rather than on the search for timely and first-hand information. This latter project will probably consititute the second step of Vatican communications reform, once the technological reform is over. In fact, contents are still far from the core of the discussions. The Vatican is making an effort to spread information as much as it can via the Holy See Press Office which is now also serving as headquarters of SEDOC, the Vatican Radio documentation service that even Msgr. Dario Edoardo Viganò, Prefect of the Secretariat for Communications, really appreciates. The service has always been a reference point for journalists to find news about events in the Vatican or in the local Churches, and to be updated about the Holy See’s international commitment. However, the current problem in the communications sector – that is, the lack of discussion of content due to a broad discussion over technology – is reflected over all the most important current issues at stake. It reflects, for example, on curial reform, that is going on slowly. Last Tuesday, the undersecretaries of those pontifical councils that have been merged into the new Dicastery for the Service of Integral Human Development met. They are trying to understand how to stay faithful to the spirit of the statutes of the new dicastery (which do not designate departmental subdivisions) and at the same time to create something with the needed specialization to work on all the issues that should be covered. The new dicastery will come into effect on January 1, but for a while the different “entities” of the dicastery will likely stay as they are, waiting for a definitive decision. In the meantime, the discussion still pivots on pragmatic issues, while ideas about mission and programming are being gathered in order to make a plan for a common development within the new structure. There are other topics that deserve more content-based discussions. One of these issues is that of mission. It is paradoxical that this issue lack discussion during a pontificate that considers itself to be “looking outward” or “outward bound”. Already two years ago, the long-time missionary, Father Pietro Gheddo, noted that the decrease in the Church’s missionary activity was due to a disappearing of focus on the Gospel, replaced by so-called pastoral plans that did not think enough in terms of vocations or conversions, and that did nothing about them. The crisis of content stems from a more profound crisis, that is the crisis of Religious Orders. It was Religious Orders that spread Catholic culture, through the schools they established and people they educated. The decrease of vocations was dizzying, and – at least in Italy – the reason for the decrease has an explanation: it began with the suppression of Religious Orders due to the “Constitutional” administration which took power after the French Revolution and the Enlightenment. The trend dramatically peaked from 2001-2011, when the number of women Religious decreased by 19.6 per cent and the number of men Religious by 14 per cent. The 2016 Church’s Statistical Year Book demonstrates that there is at least a halt in the decrease. From 2005 to 2014, the number of bishops increased: they are about 5,200 (+8 percent), with a considerable increase in Asia (+14 percent) and Africa (+13 percent). Even priests – both diocesan and Religious – increased, but only until 2011: they are about 416,000, with no increases from 2011 to 2014. These numbers show the problem of a Church in decline. There are more chiefs, but no new workers among those who are called to carry pastoral plans to the territories. The Church is lacking, in the end, minds capable of putting into practice the best cultural or doctrinal plans. On the other hand, Church officials have lost a lot of their prophetic emphasis that formerly characterized them. The Catholic Church is certainly experiencing a cultural problem. This cultural problem is probably at the basis of the lack of discussions of content in curial reforms. The typical example is that of the reform of communications. Talking about reform, the focus is on the shut-down of shortwave or medium wave radio, that is, it focuses on the way to reach out to the maximum audience possible. At the same time, the effectiveness of communication as a means of spreading the Gospel is an overshadowed topic. The reform is the measure of all the discussions, while the need for a change of mentality – that should precede structural reform – is put aside. This way of discussing is however a limit inherited from the pre-conclave meetings of the Cardinals in 2013. The Cardinals committed themselves to attacking the functioning of the Curia, thereby also eliminating any possible European or Italian candidate for the papacy, and in looking for a change of narrative surrounding the papacy and the Curia. At the same time, the Cardinals were too self-referential to understand the profound missionary issue. For this reason, the notion of existential peripheries proposed by Pope Francis was seen as a sort of oasis in the desert, grabbed by everyone. Many did not understand what followed. The Cardinals’ concerns stem mostly from a problem that arose in the course of this pontificate: big themes cannot be even discussed. The Four Cardinals’ Letter concerning the five “dubia” on the interpretation of “Amoris Laetitia,” sent to the Pope and to the Congregation for the Doctrine of the Faith, has not been treated as it deserves. No one speaks about the contents of the “dubia,” but the vast majority is hostile, mocking the four Cardinals for not understanding Pope Francis’s message, or attacking them because they allegedly oppose the Pope. This behavior shows that any request for clarity is interpreted as a declaration of war. The fact is that neither the Pope, nor any of his inner circle, has given a precise response to the “dubia”. It should be enough for them to say that nothing has changed in doctrine, but that we are just seeking for a pastoral practice. But this is never said, and the Pope does not take responsibility for it. Perhaps he has no intention of changing anything in doctrine, but he fears that saying this out loud would generate some discontent among those who invested everything they had in a new narration about his changing doctrinal criteria – the same people, that is, who are the Pope’s closest supporters. The shut-down of Vatican Radio’s medium wave broadcasts is thus the closing of an era. It is not so just because of the choice to shut down the broadcasts. It is so mostly because it happens in a moment when everything is seemingly headed in one precise direction. A moment when the topic of the Gospel is set aside, while the Vatican is trying to grab an audience. A moment when Pope Francis’s extraordinary popularity is apparently used not in order to teach the faith, but in order to create division. How much the Pope wants this change of direction is still to be assessed. On the one hand, he is very firm on certain issues of the faith. On the other hand, his choices are apparently marking a net discontinuity. As it is with the appointments to the Pontifical Academy for Life and to the Pontifical John Paul II Institute for Studies on Marriage and the Family. As it is with the creation of new Cardinals, all of them close to Pope Francis’s determination always to put praxis before doctrine. It is yet to be understood whether the Pope is making these choices in order to surprise, to create a new narration and take the pontificate out of the obscurity occasioned by the attacks on the Church – attacks that have always been and will always be. Perhaps – and this is the other option – the Pope really wants to mark a change. What is certain is the big agenda of mercy, perhaps the only theological red line of the pontificate. Will it be enough?